Ten years before, Shannon Frasier couldn't save her boyfriend when he was shot right in front of her. Now, as a surgeon, she still struggles with the feeling of loss and longs to save all who come to her for care. When a man dies on her front lawn from gun wounds, she is forced into a mystery surrounding the guy. Can she overcome some of her fears and learn to fully live? 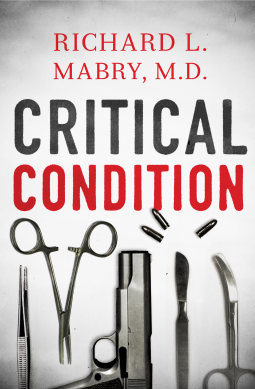 I've read one other of Dr. Mabry's novels, and was excited when this one came up to review! The story is fast paced and I liked the characters. I also like that he writes from several different vantage points, though some things are still a mystery until the end. Two thumbs up! When Summer married Kyle Abernathy, she let him know up front that she expected complete honesty from him, since she and her siblings suffered at the hands of her lying father. When she awakes one morning to a gun in her face and twelve hours to find a missing computer and flash drive her husband stole from the mob, she realizes that there is more to her husband than he told her and that he broke his promise to her. I loved how fast pace this novel is and that it didn't go where you thought it would, since there are so many twists in the tale! While I thought it was excellent, I will mention that I did find Summer a bit annoying with her holding a grudge against her husband for not telling her he was in a witness protection program. I can agree that you want totally honesty from your spouse, but in this case, he was trying to keep her safe. So, get over the shock and stop acting like a petty child. I still enjoyed the story though, and found it was a quick read that keep you going to get to the bottom of the mystery! 1. All time favorite as a child was most likely Little House on the Prairie. I believe I received my set one year before Christmas, before I had really taken off with reading. I would sit in my room and just look at the pictures, ready for the day when I could actually read the words that went along with them. ;) The series did not disappoint! I look forward to going back and re-reading them with my own children. 4. Chronicles of Narnia. My favorite would be Voyage of the Dawn Treader, since I liked that it was based on a sea journey and that there are many adventures in it. I remember when I first started the series, I didn't care for it because I thought it to wordy. It didn't take me more than a book or two to decide I enjoyed Narnia! 5. The Boxcar Children. This might have been the first mystery series I was exposed to. And I loved them! 8. Witch of Blackbird Pond. This one had to do with the witch trials in early American history. I remember really enjoying it! 9. Rose in Bloom. I think this one is my favorite out of all Louisa May Alcott's novels. The sequel is excellent also! Canton D’Ahma has prepared his whole life for the day when he could become a realm walker and jump between worlds without one of his mentors. But, on his first solo trip, he finds that not all is as he thought it would be. The Realm Walkers Guild has become corrupt and they no longer seek to maintain justice away from the world of the guild, where they only try to present a front. As Canton seeks to become a realm walker, despite the corruption, he makes friends with some interesting characters who drag him into adventures. I loved this book! The characters are so much fun and the story line was enjoyable. I thought that the worlds were creative and the concept of realm walkers interesting. I highly recommend this one! In a world of mediocre books, this novel is a gem. Lydia has never known anything more than servant hood in the court of Cleopatra. Abandoned at a young age, with no knowledge of her family, she is left to construct her own family from those she works with. When her adopted father dies, leaving her with a task to return sealed scrolls to Jerusalem, she agrees to leave Egypt to serve Herod's wife. 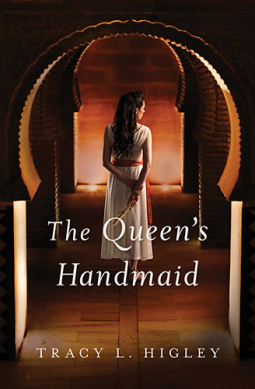 Filled with palace intrigue and plenty of historical details, I loved this book! Tracey Higley is a favorite author of mine, and yet this novel far surpassed my expectations. Two thumbs up! 1. One of my all time favorites is Emma by Jane Austen. I love the book and could watch the movie (I own at least two versions....) pretty much whenever there is a snow day or when I am home sick. Perhaps it is a favorite b ecause I like stories that have to do with the boy next door worming his way into the heroines heart. I adore this one because Mr. Knightley brings out the best in Emma and encourages her to be a better person. 3. Edenbrook by Julianne Donaldson. Set in the Regency era, I love the confusion in this story. It added to the romance and made me race to the end. I love that there are still good, clean romances out there. 5. Dear Mr Knightley by Katherine Reays. I keep coming back to this book, since it was surprisingly wonderful. Perhaps the idea of writing letters to your faceless benefactor is a bit weird, especially when you throw in tidbits about your love life, but it works! 6. Blackmoore by Donaldson. I think I like her books so well, since they are "A Proper Romance", much like a good classic. In this one, Kate Worthington thinks she knows her heart and that it is set on India. But, on a trip to Blackmoore, she discovers love when she takes on the dare of a friend. I loved it! 7. Porcelain Keys by Sarah Beard. 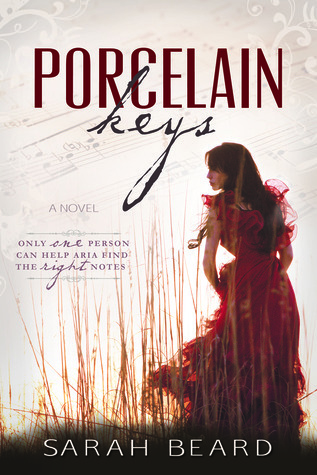 I loved this story about a young pianist and the young man she loves who helps her become a talented musician. 8. The Tutor's Daughter by Julie Klassen. Much like a Jane Austen story, This one swept me away! This one is, in my opinion, the best of Klassen's novels. 10. Harvest of Rubies by Tessa Afshar. Sarah feels that she is just an ugly young woman who makes a better scribe than a wife. When she saves the queen's life though, she must become the wife of a young nobleman. Placed in a role she feels inept to fill, Sarah soon finds there is more to her than just scrolls and languages. 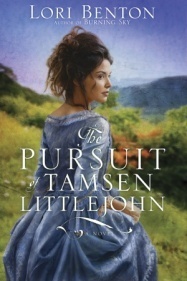 In order to flee an arranged marriage with a man as cruel as her stepfather, Tamsen Littlejohn places her trust in a man she knows nothing about and takes off into the Overmountain area. Leaving her privileged life behind, she finds that she must learn how to fend for herself in order to not be a burden. As she assimilates to life on the frontier, Tamsen finds herself drawing closer to God as she tries to stay safe. This is the second book that Lori Benton has written, and the second one that I have read. Both of them are excellent! I like that she writes about historical aspects that I am not as familiar with that took place in early American history (this one is set in 1787). Her characters are solid; I like that she has several different characters. I will warn you, I find her villains to be particularly despicable. I suppose that adds an edge of suspense to the story though. Anyway, this one gets two thumbs up! If you enjoy a good Recency era story, then check out this freebie out! It is kind of a cross between a Jane Austen novel and The Scarlet Pimpernel. Heat oven to 375°. Grease a 9x9 pan and set aside. Blend all the wet ingredients, then add to dry ingredients, mix half a minute. Spread in pan and then sprinkle with topping: mix 1/3 cup brown sugar, 1/4 cup flour, 1/2 tsp. Cinnamon, and 3 T. Butter until crumbly. Bake in heated oven 25-30 minutes or until done in the middle. This recipe works great if you double it and bake it in a 9x13 pan. In this powerful book, pastor Kurt W. Bubba talks about epic grace and how it can change one's life. I would venture to guess that most of us have been in need of God's grace at one point or another in our lives. Backed with many personal story, Pastor Kurt emphasizes justhow vast God's grace is, whether it was when he was running from becoming a pastor after growing up a PK or when his marriage was in shambles, God was (and is) always faithful and offers His grace. I appreciated how the stories and scriptures were woven together and thatPastor Kurt was very real with his writing. Things have never been the same for Aria after the death of her mother. Left motherless and with a distant father who doesn't want to be reminded of their loss, Aria dreams of following in her mother's footsteps and going to Juilliard. When Thomas stumbles into her life, she feels like she has an ally to share her secrets with, only to have him fly out of her life when tragedy strikes. I had a hard time putting this book down! At times, it was a little intense and sad, but I thought that it was very well written and that it wrapped up nicely. The characters were amazing! I fell in love with the main players and thought that the secondary characters were interesting too. (especially Vivian;)) So many young adult books have little substance or should be R rated, but this one was both a solid story and clean. On a personal level, I enjoyed reading about this young musician, since I am married to a violinist who applied at Juilliard. It prompted me to ask more about his experience. ;) Anyway, I think that whether or not you are a musician (and whether or not you are a professional or novice), this book is bound to be a favorite! Things have drastically changed in the last ten years, leaving people in their twenties left trying to figure out how to make a go of it when it is hard to get their dream job. This little book of 101 insights for you twenties is an excellent resource to let you know that you are not alone. If life hasn't turned out how you thought it would, then this is the book for you! I loved the insight on making the most of where you are and yet to never stop dreaming and moving towards those dreams. While I think this book is more geared towards those who are wanting to be professionals (then someone like me, who is just as happy to be a small town baker;)), the different "secrets" are written with humor and still fun to read, even if they don't apply or don't necessarily agree with some of them. All in all, this is a fun read and something that those in their twenties (or thirties!) can learn from.